The tourmaline family (which properties can be found here) shows a wide variety that gathers under the name of tourmaline plus its particular color. The pink tourmaline is generally the rubellite variety which color can go from pink to red. This is the variety we will talk about here. In the area of pink hues, you can also find dravites (light acajou) and silerite (pink lilac to blue purple). The most common name for the pink tourmaline is rubellite and it comes from the Latin word "rubellus" meaning reddish. Until recently, the pink tourmaline was quite common and affordable. However, the demand considerably increased as well as its price. Nonetheless, due to the quality of its colors, it can easily replace a pink sapphire but is more affordable. Mines: Brazil, Madagascar, Tanzania, Namibia, Mozambic, Sri Lanka, Afghanistan, Niger, The Elbe island, India, Burma, Italia, Angola, Australia, the USA. It would be efficient with stress by calming nerves. It would strengthen the heart and would help fighting anginas, stabilizing heartbeats and healing faster from a heart attack. The pink tourmaline would help with sterility. It would relieve from arthritis. It would help blood circulation. The pink tourmaline would help sleeping better, mainly for children. It would be efficient for gynecologic infections. It would help with problems and pains during menstruation and would help getting pregnant. It would help fighting against neuralgias and migraines. 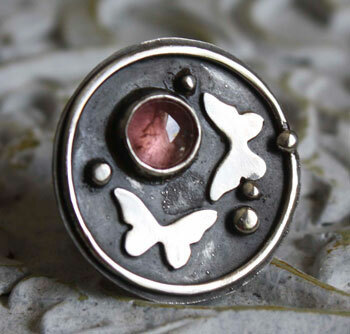 The pink tourmaline would balance the endocrinal system. It would help healing skin problems. It would be efficient with asthma and bronchial infections. It also has the same properties than tourmaline in general.